The government plans to integrate anti-money laundering laws with the Cooperative Act 2017 to control illegal transactions in the cooperative sector. Currently, there is a directive on anti-money laundering for the cooperative sector. The Ministry of Land Management, Cooperatives and Poverty Alleviation said that the government’s plan to integrate anti-money laundering laws with the Cooperative Act is aimed at controlling investments using money earned through illegal transactions. Last October, the government enforced a new Cooperative Act to bring cooperatives under a new legal framework. The Department of Cooperatives enforced the Directive on Money Laundering Prevention for Cooperatives last March, opening the cooperative sector to government scrutiny. The directive has prohibited cooperatives from carrying out suspicious transactions. Cooperatives that do not maintain adequate information about their members or conduct transactions by creating fake accounts face a fine ranging from Rs1 million to Rs50 million. 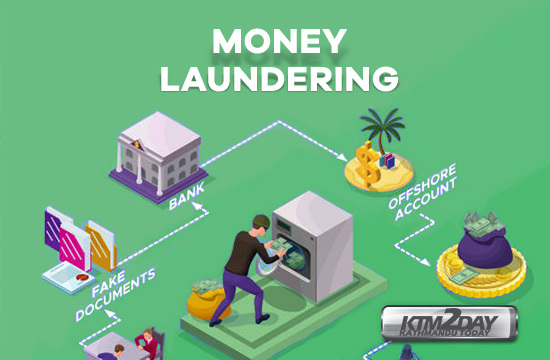 Many individuals involved in money laundering are still found to be channelising money earned from illegal activities in the cooperative business, as per the ministry. “Cooperative businesses are still a safe haven for money earned by illegal means,” the ministry’s Secretary Gopi Nath Mainali said. Speaking at a programme organised by the Society of Economic Journalists Nepal on Sunday, Mainali said a number of cooperatives had not been adhering to the directive taking advantage of weak laws. “These cooperatives have been allowing all their members to make investments without asking them to disclose the source of funds,” Mainali said. As per the directive, cooperatives must develop a mechanism for risk management, closely monitor their business activities, identify suspicious transactions, carry out transactions by remaining within the threshold and keep a close eye on annual transactions beyond Rs3 million. If they fail to carry out these activities, they will be fined up to Rs3 million. According to the ministry, the government will soon be tabling a bill containing the new directive in Parliament. “By introducing the clause through the act, the government aims to tighten the noose on such transactions in a more effective manner,” Mainali said. The government has identified the sector as one of the three pillars of the economy. After Nepal implemented the federal system, 29,000 cooperatives came under the jurisdiction of local governments. However, due to lack of an effective monitoring mechanism and efficient manpower at the local level, the risk of poor implementation of the laws related to the sector has increased.